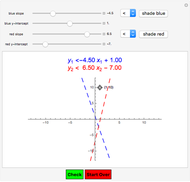 This Demonstration allows you to input a system of inequalities that will be graphed for you. 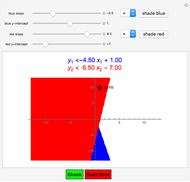 Using a locator you can then choose test points for each inequality and shade on the side of the locator. 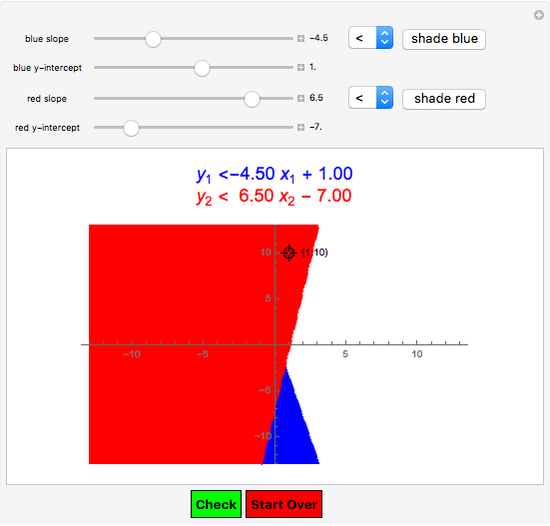 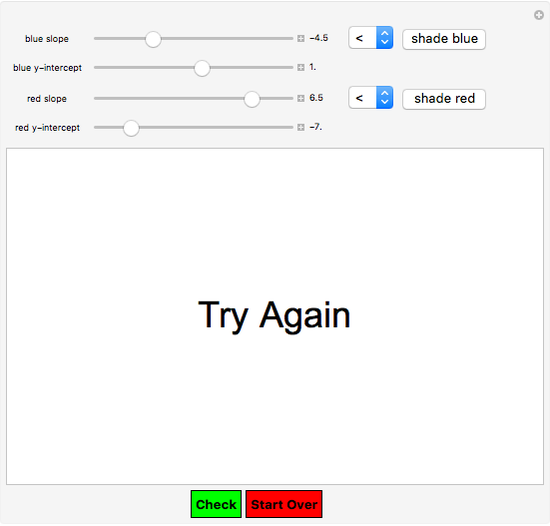 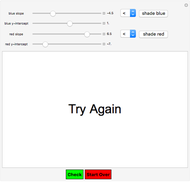 Mathematica will then check your solution and provide immediate feedback. 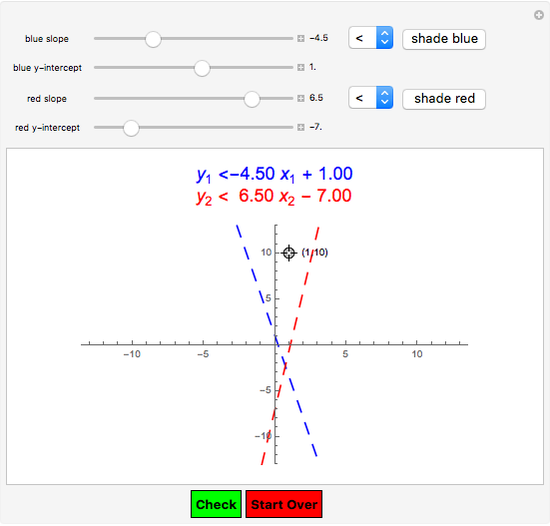 Amber Glon "Graphing Systems of Inequalities"